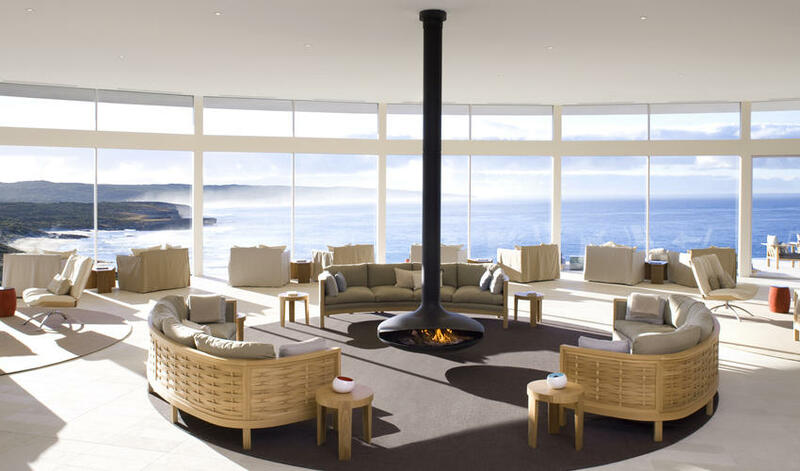 Southern Ocean Lodge is the crown jewel of Kangaroo Island. 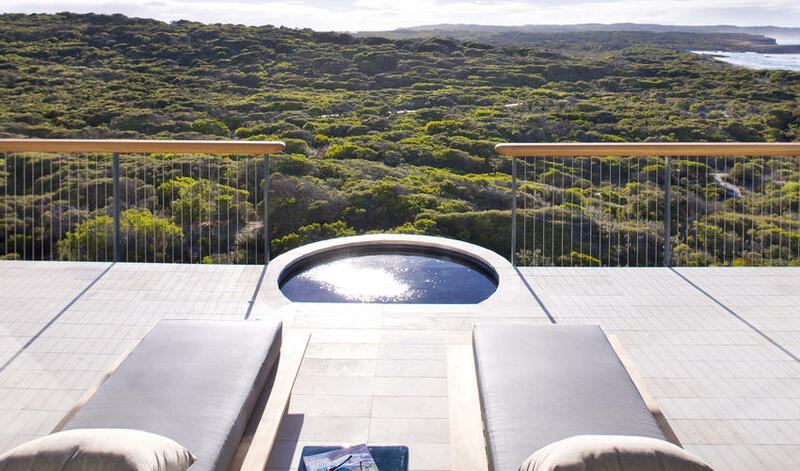 This exquisite lodge is perched on a cliff facing the wild Southern Ocean and harnessing some of the most stunning vistas imaginable. 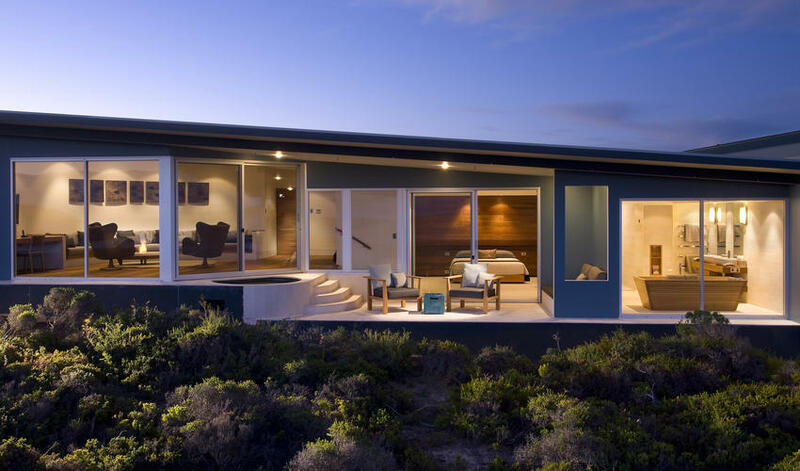 The 21 luxury suites are incredible, with plush king-sized beds, sunken lounge areas, glass walls that look out onto the ocean and a private outdoor terrace. 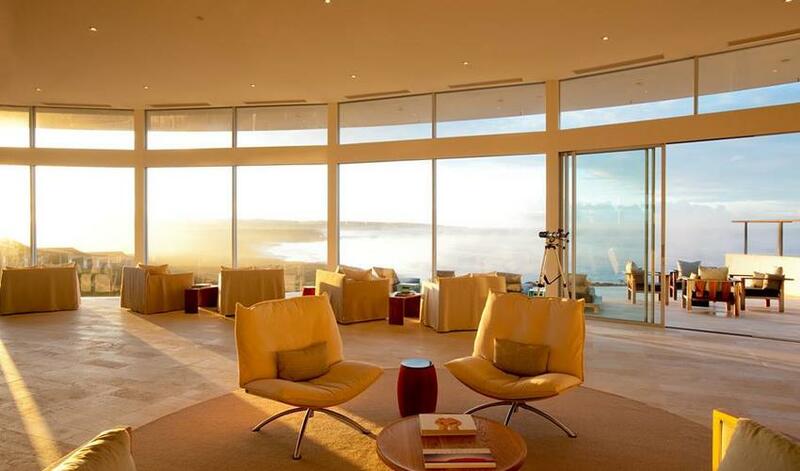 The architecture is wonderous. 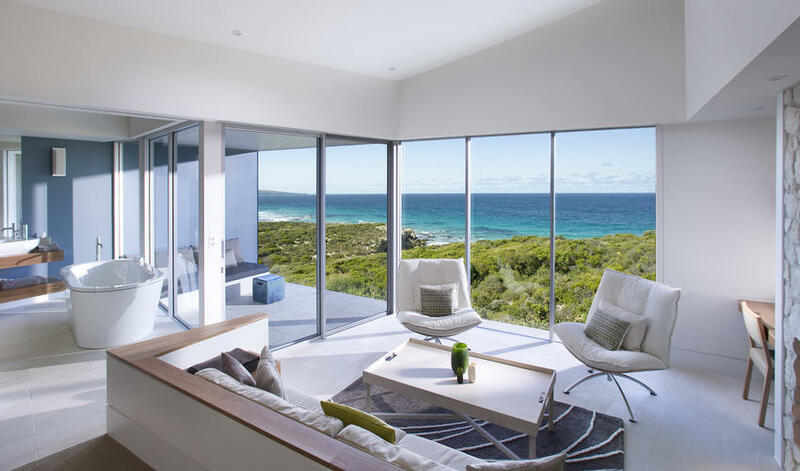 The use of modern design features such as limestone floors and custom décor from Kangaroo Island artists has a certainje ne sais quoi that charms everybody. 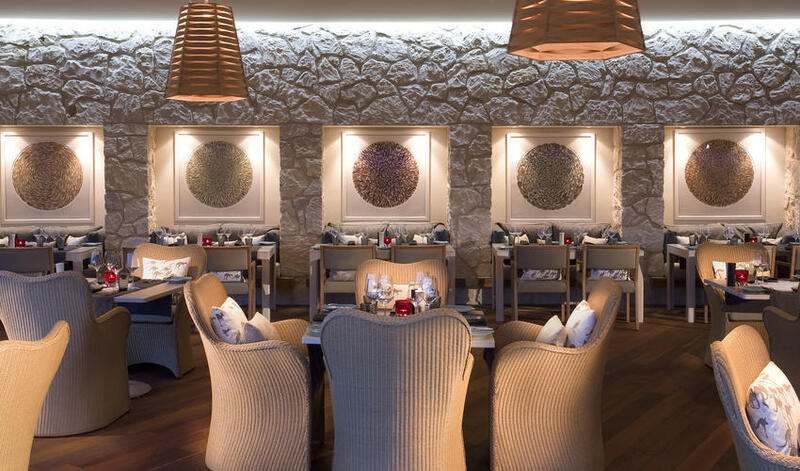 The main lodge, dining areas, and spa are open, clean and bright. The staff is attentive and fun. 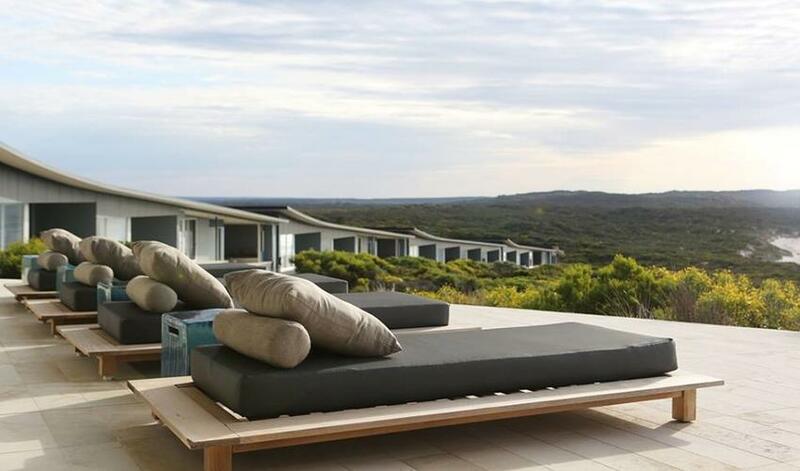 We challenge you to feel anything other than utter relaxation. 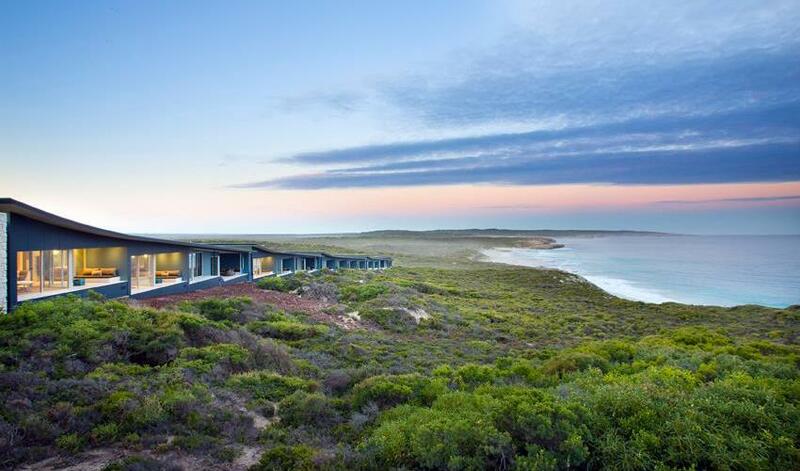 Southern Ocean Lodge is all about getting pampered – basking in the landscape and indulging in fine wine, food and service. 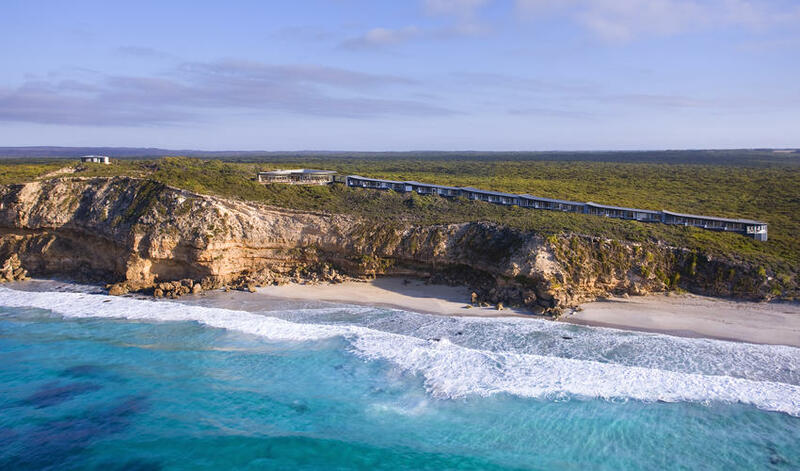 Activities at Southern Ocean Lodge include: guided walks and hikes, fishing, kayaking, quad biking, self-drive explorations of the island, wine tasting, food tours, birding and walking among sea lions and fur seals on the beach. 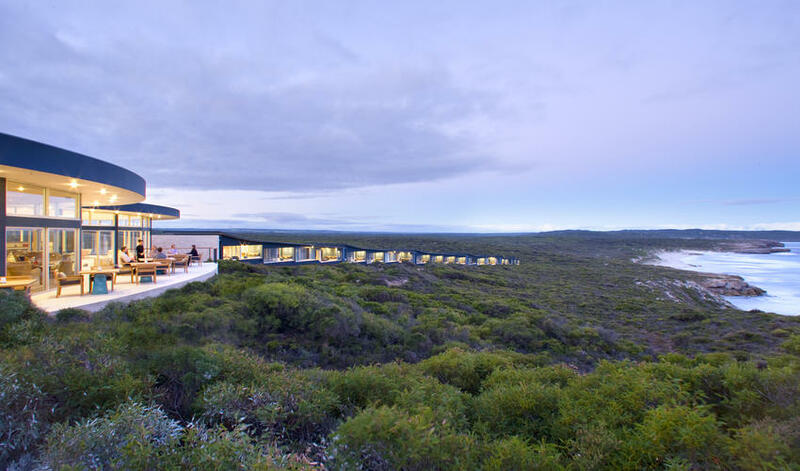 However, our favorite activity, "Kangas and Kanapes," takes you to a field with grazing kangaroos, where you enjoy fine South Australian wine and canapes before heading back to the lodge for one of the finest meals of your life. 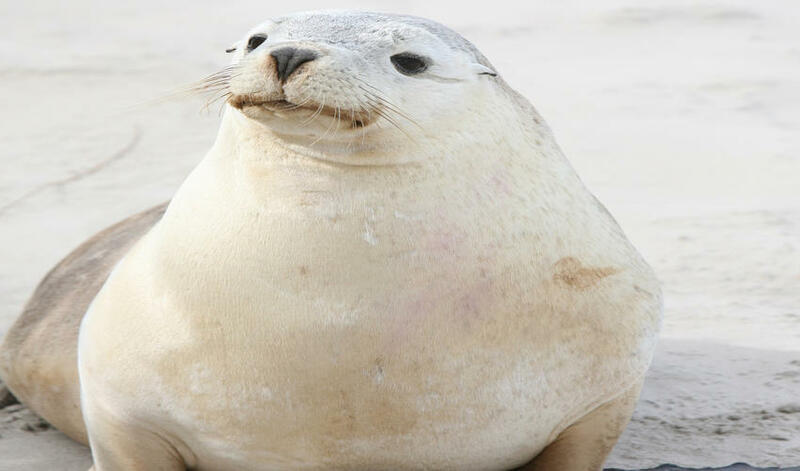 The guides are very personable – they truly make every activity exciting. 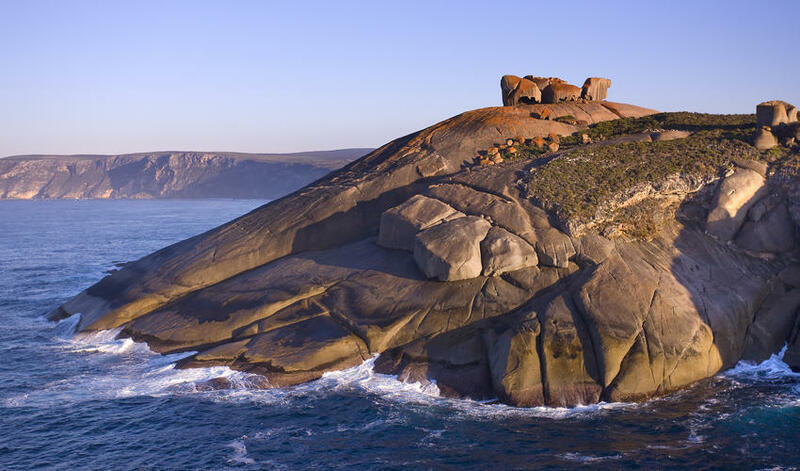 Kangaroo Island is a picturesque and quirky island off South Australia that is home to more kangaroos than people. 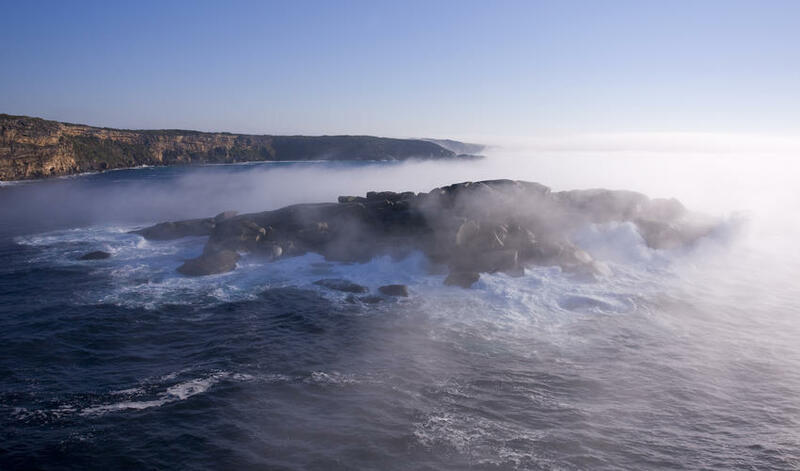 The island is over 1,700 square miles of thriving farmlands, rolling hills, lush forests, pristine beaches, dramatic limestone cliffs and rocky coastlines. 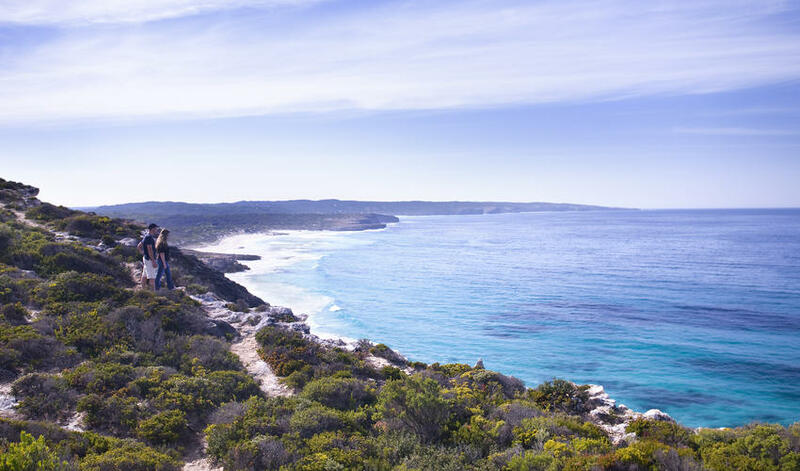 Over a third of the island is protected conservation area or national park, and throughout the entire island, you’ll stumble across fur seals, sea lions, echidnas, koalas, prolific birdlife and, of course, kangaroos. It’s a really fun island to explore for every level of activity. 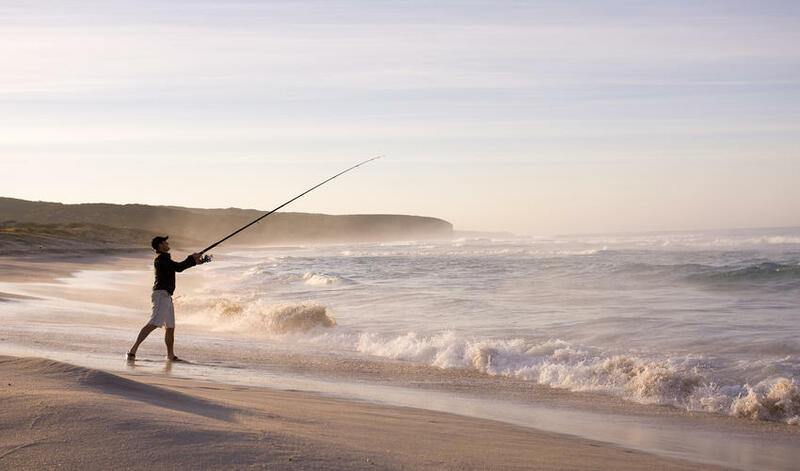 Interestingly, for all the personal attention at the lodge, the off-site activities are relatively standard. 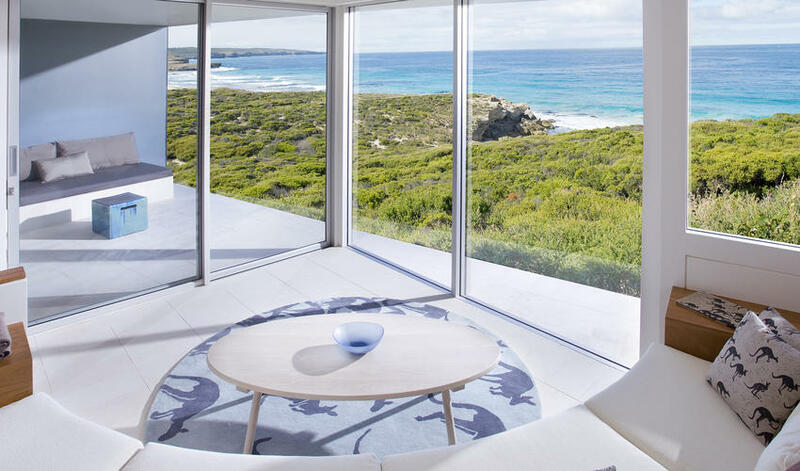 As a result, we suggest investing in a private guide. 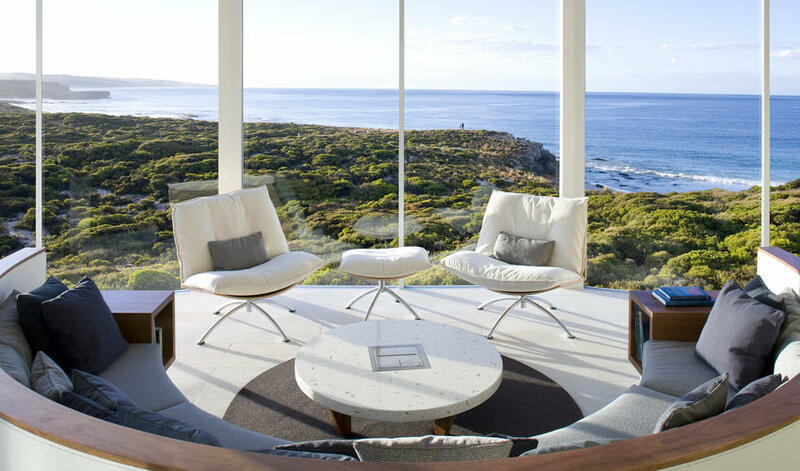 Southern Ocean Lodge is a one hour drive from Kingscote Airport on Kangaroo Island, which is only a 45-minute flight from Adelaide. 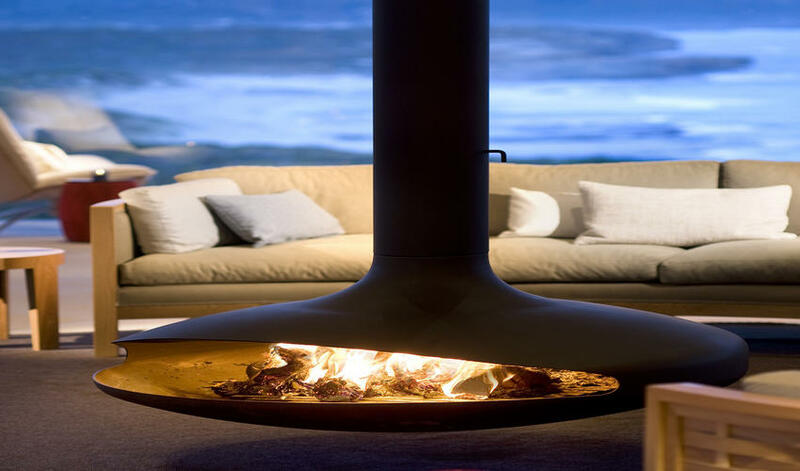 You can also charter a flight to the Snug Cove airfield, which is only 30-minutes from the lodge or take a ferry from the mainland.